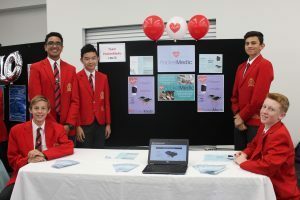 Recently St John’s Anglican College proudly hosted the first Annual Australian Conrad Spirit of Innovation Challenge. 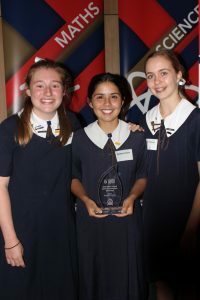 St John’s, having made the finals for three years running, was eager to bring the Challenge closer home to provide the opportunity for more Australian students to experience this exciting collaborative space which is designed to promote collegiality and a free exchange of ideas. 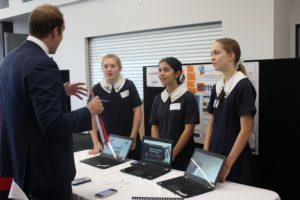 While some traditional competitions involve more competitive activities, the Innovation Summit held in November, aims to encourage young innovators, allow them to network with students from across the world and get the chance to see their ideas turned into real, marketable solutions. Over 55 students from different schools as far away as Bundaberg attended the Innovation Summit at St John’s to pitch their innovative products to a panel of highly respected industry leaders: Mr Bernie Woodcroft, Director of ilab Accelerator, Ms Tiah Goldstein from the Gold Coast Hub and Codebots, Mr Gerard Murtagh, the Managing Director of MouldMen, Ms Tracy Constable, Stakeholder Engagement Manager for Queensland AusIndustry –Department of Industry, Innovation and Science and Mr Saf Marikar, Former Google Analyst and Entrepreneur. 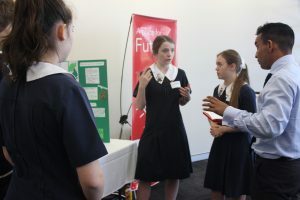 Teams made up of three to five student had been challenged to develop a disruptive technology that addressed any issue in the world today in the areas of health and nutrition, energy and the environment, aerospace and aviation and cyber technologies and securities. Students worked with their coaches and teachers and in many instances had formed early partnerships with government and business agencies. 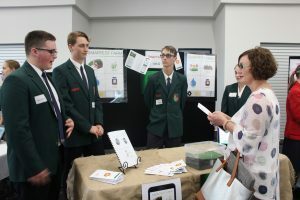 They were asked to prepare an ‘elevator pitch’ to the judges; a summary of their product and an inventive solution designed to attract potential investors. 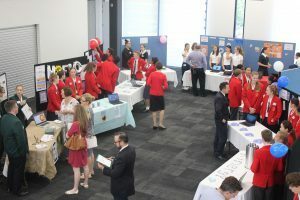 Successful groups called on a wide variety of skills, not just from science and technology, but also from business, design and public speaking. 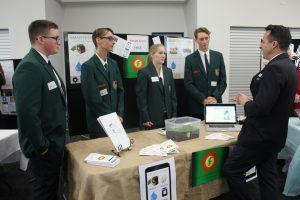 Of the 18 teams at the Challenge, six advanced as finalists presenting ideas like a battlefield bandage that sculpts to an injured soldier’s particular injury, a series of sensors used to help urban and rural farmers to collect and utilise data on their crops, a kinetic-based water filtration system and a biodegradable solution to women’s health issues in indigenous communities. 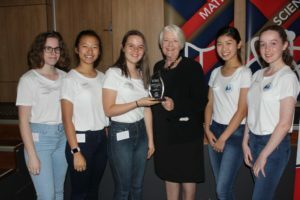 Team New Echo, from St John’s took away the prize for Best Innovation with their bone-conductive hearing aid while Team Speechability from St Aidan’s won the overall challenge with their integrated App and database designed to connect people with autism to potential employers. 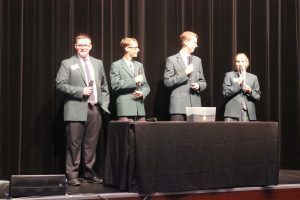 As the overall winners, Team Speechability has now been invited to present at the American Conrad Spirit of Innovation Challenge at the Kennedy Space Centre in 2018. Congratulations to Team Speechability! 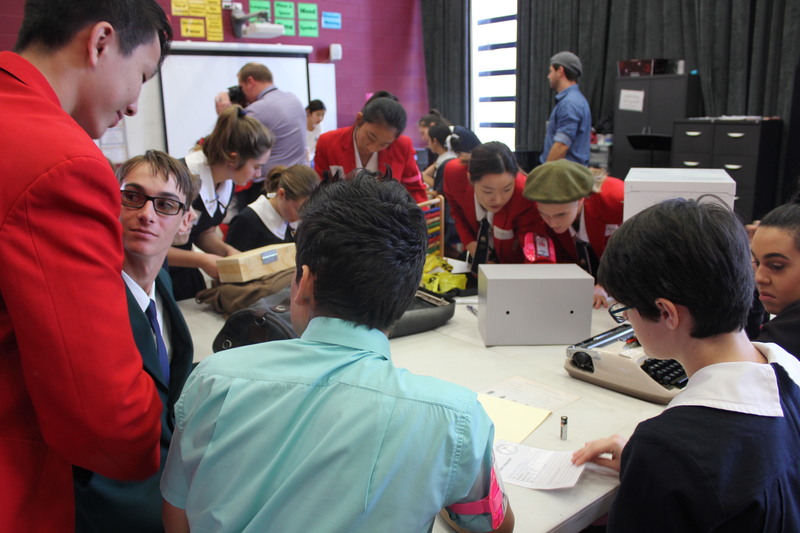 St John’s is now planning the 2018 Australian Challenge with the support of the Conrad Foundation and is looking forward to bringing this opportunity to more students and more schools. 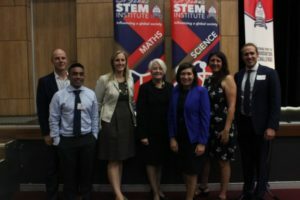 We hope to grow the Challenge nationally and invite interested schools to take part in the Australian Conrad Spirit of Innovation Challenge in November 2018.